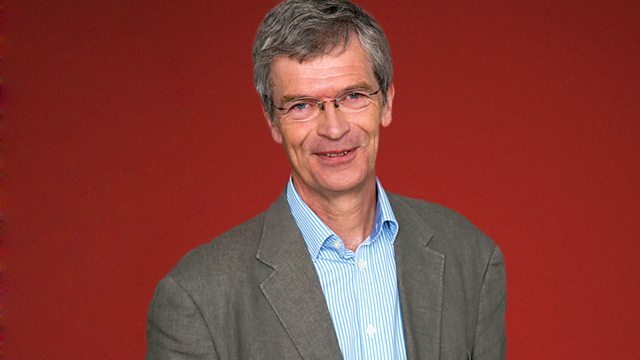 Alyn Shipton's selection of listeners' requests spans music from 1925 to the present decade. This week, as well as music from Louis Armstrong, Luis Russell and Ken Colyer, there's a focus on the saxophone with tracks by Michael Hashim, Coleman Hawkins, Kenny Garrett and Stan Getz. Performer: Johnny Dodds. Performer: Kid Ory. Performer: Lil Armstrong. Performer: Johnny St. Cyr. The Okeh Columbia & RCA Victor Recordings 1925 - 1933. Performer: Chris Barber. Performer: Monty Sunshine. Performer: Bruce Turner. Performer: Lonnie Donegan. Performer: Jim Bray. Performer: Ron Bowden. The Lost 1954 Royal Festival Hall Tapes. Performer: Ray Brown. Performer: Ed Thigpen. Performer: Michael LeDonne. Performer: Peter Washington. Performer: Kenny Washington. Performer: Gary Burton. Performer: Gene Cherico. Performer: Joe Hunt. Performer: Ronnell Bright. Performer: Kenny Burrell. Performer: Ron Carter. Performer: Andrew Cyrille. The Best of Coleman Hawkins. Performer: Henry “Red” Allen. Performer: J.C. Higginbotham. Performer: George "Pops" Foster. Performer: Charlie Holmes. Luis Russell and his Orchestra. Performer: Derek Watkins. Performer: Brian Lemon. Performer: Dave Cliff. Performer: Dave Green. Performer: Martin Drew. Performer: Shedrick Mitchell. Performer: Nat Reeves. Performer: Chris Dave. Stan Tracey Orchestra at the Appleby Jazz Festival.